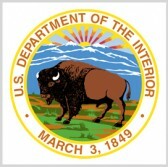 The U.S. Department of the Interior has selected Birdseyeview Aerobotics to produce 50 fixed-wing unmanned aircraft systems built for vertical take off and landing in support of land stewardship operations. The DOI said Tuesday it intends to use the UAS with technologies designed to aid in resource management and emergency response. The aircraft is expected to weigh no more than 10 pounds, observe a five-foot wingspan, allow for equipping of modular sensors, elevate to a maximum of 12,000 feet and fly through winds at 25 knots. The department awarded the contract to Birdseyeview following a process that identified requirements for the UAS. DOI predicts that it will increase UAS usage in 2018 by 50 percent, following 5,000 conducted UAS flights for missions in 2017.